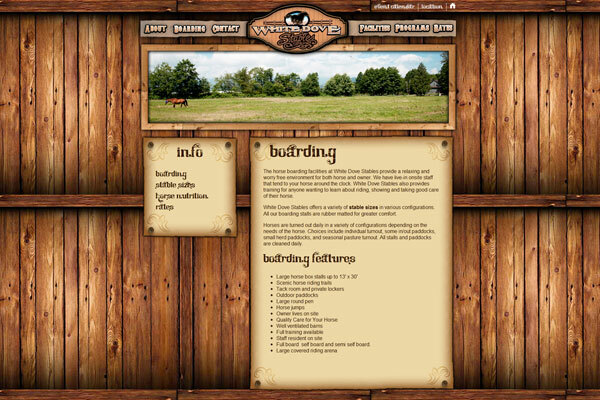 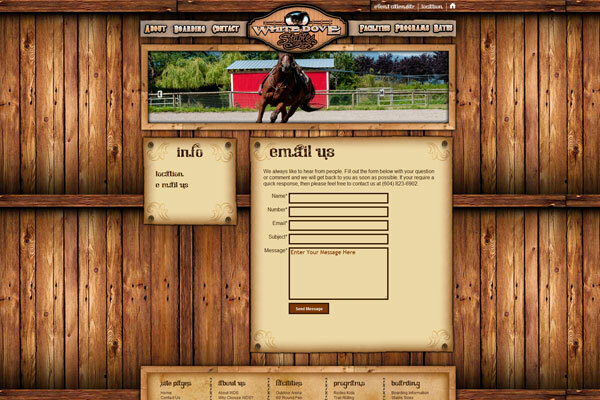 White Dove Stables is your classic web design case. 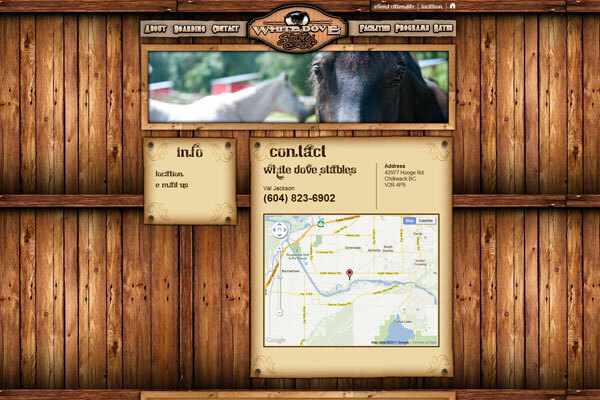 Thay had a family friend develop their site and found that they weren;t getting anything from it. 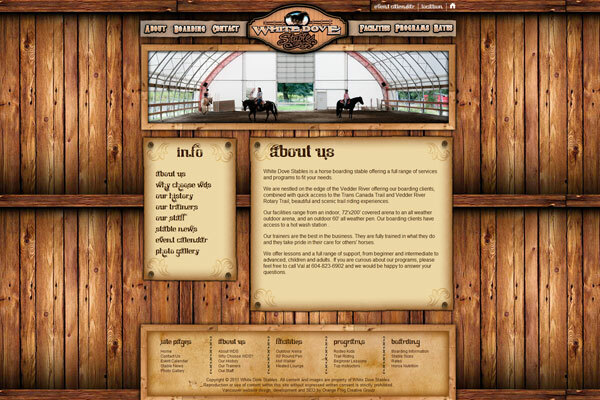 They called us and asked if we could help. 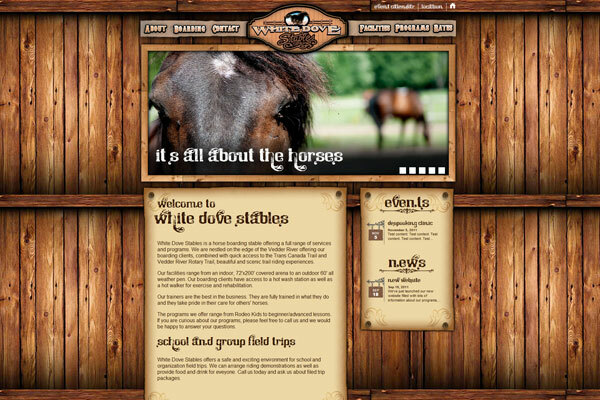 We designed and developed a new website that helps to draw the user into the experience of being in a horse stable. 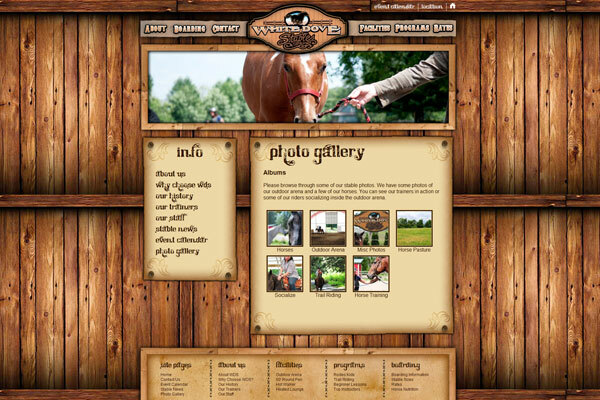 The site is filled with information and includes tons of photos which we took.